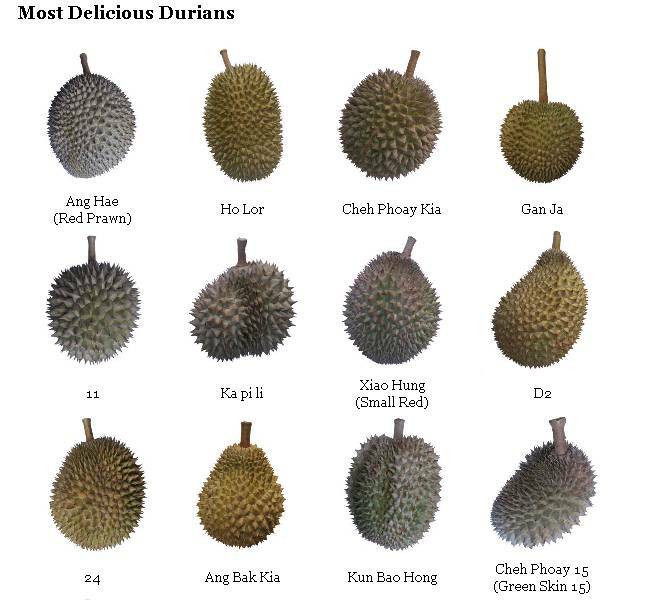 First of all, what is a good durian? For us, a good durian is one that is ripe, fresh and free from larvae/worms. However, a durian with worm doesn’t mean it is not good because it can still be delicious. 1. Look at the tip, if it is too dry means it is no longer fresh. A little dry is okay. 2. Look at the bottom, if it is crack it may be over-ripe or not so fresh. But it still can be delicious. 3. Smell the durian, if there is a strong smell, it is most likely good. If there is no smell, it is probably not ripe. 4. Use your fingernails to scratch the durian; if it sounds hollow it is likely to be a good one. 5. 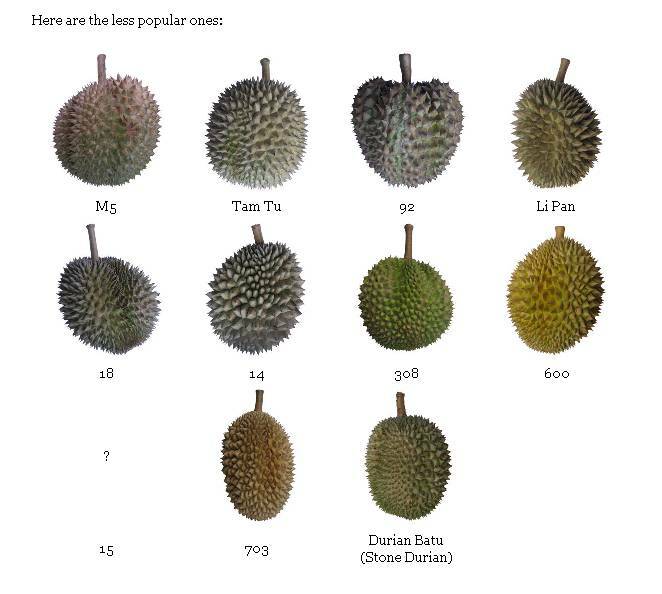 Put the durian close to your ear, shake it and listen carefully, if there is a ‘moving’ sound, it is likely to be good. 6. Look for holes around the durian, if there is tiny hole somewhere, there is likely to be a worm (larva of an insect) that has burrow into it. 7. Yes, there is actually a 7th step, but it’s not going to be useful. If you have the chance to open the durian, open it and taste it. There are few ways to open the durian. 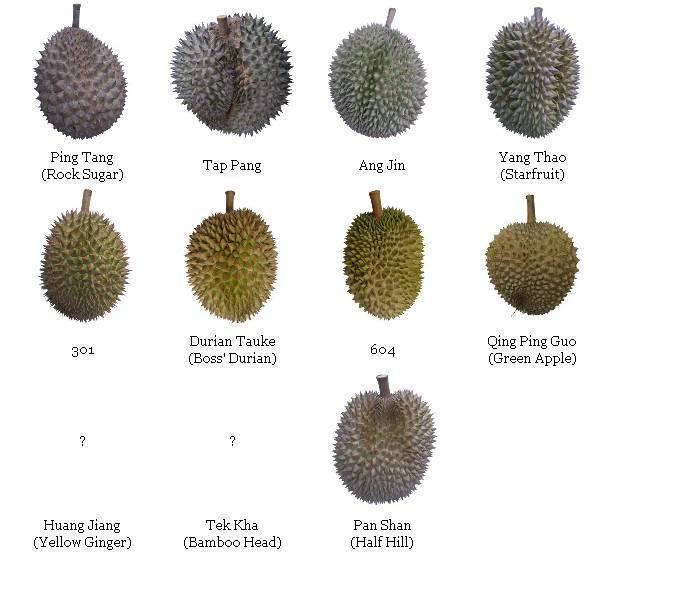 Some might find opening a durian just too difficult, so I’ll list other methods in case you want to try another way. 1. Use a short knife, one that is slightly bigger than the standard Swiss army knife- most durian farmers use this. 2. Use a big knife, the one for chopping meat – ladies love to use this. 3. Use bare hands – works well for some over-ripe durians. 4. Use a special durian opener, which is made of wood.